If you have any form of interest in murder mysteries, then you have probably heard of H.H. Holmes. I hate to break it to you…but about 90% of what you think you know is wrong. Sorry. Here are the victim stats: 4 confirmed, 5 assumed, 23 possible, 18 debunked. So what are we to make of the story of H.H. Holmes? Adam Selzer was a tour guide in Chicago and wanted to know more about the supposed murder house. This curiosity led him to seek out original newspapers and police reports and what he found surprised him. Contrary to local legend, Selzer was only able to find insurance scams and get rich quick schemes calling the infamous castle home. While there were secret compartments and passageways, Selzer was not able to find any definitive proof the property ever functioned as a hotel at all, much less a murder house. The result of this investigation is the book, H.H. 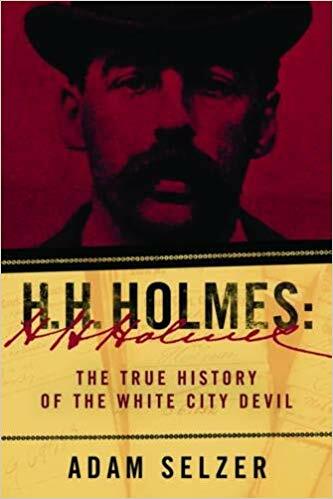 Holmes: The True History of the White City Devil. Aside from a few grammatical and spelling errors, his overall writing of the book is fairly good. Selzer’s straightforward, clear style made for an easy read while conveying all the necessary information regarding his years of research. 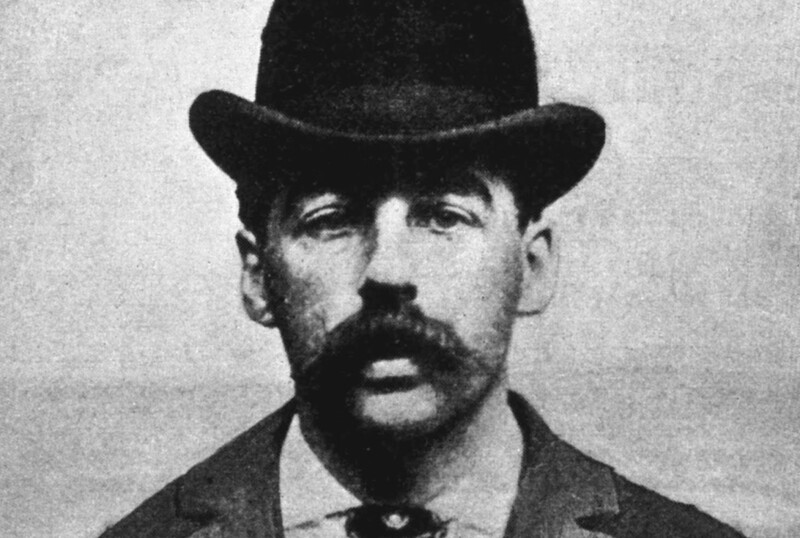 His findings uncovered the confirmation of four murders, but no proof of the crimes for which he is most notorious. 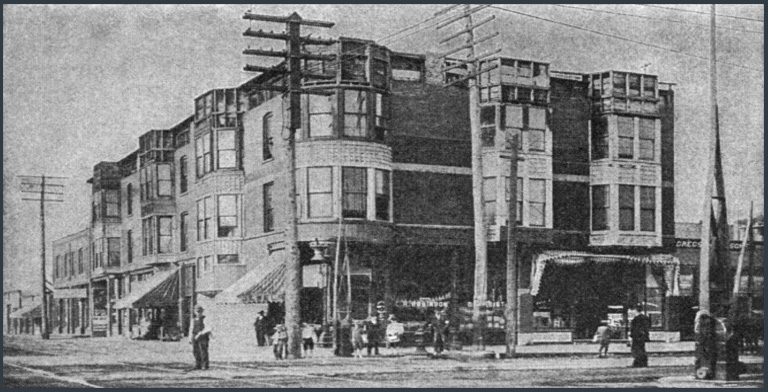 Legends says he built the hotel for the sole purpose of luring women in and killing them during the 1893 Chicago World’s Fair. Selzer follows the paper trail of Holmes’ whereabouts and travels all over the country as he carried out cons and schemes. Of these schemes, the clearest is marrying multiple women and keeping them all ignorant of the others. Another is the life insurance scheme that initially meant body snatching, passing it off for Pitzel, and claiming the insurance money. The castle is no longer standing and this is the best picture we have taken during Holmes’ lifetime. If you look closely, you can see the third floor isn’t even complete. Selzer’s investigation is one of the best I’ve come across as far as thoroughness goes, and I’m in academia. Granted his style leaves something to be desired, but he definitely answers all the questions you may have. At one point, I wondered if Holmes’ autobiography was available to the public and a few pages later, Selzer pointed out the only available (known) copy is in the Library of Congress. For the extent of the book, I felt as though he answered my questions about H.H. Holmes and debunked the myths. Overall, I was deeply satisfied with this book and its information on America’s first serial killer and his victims. 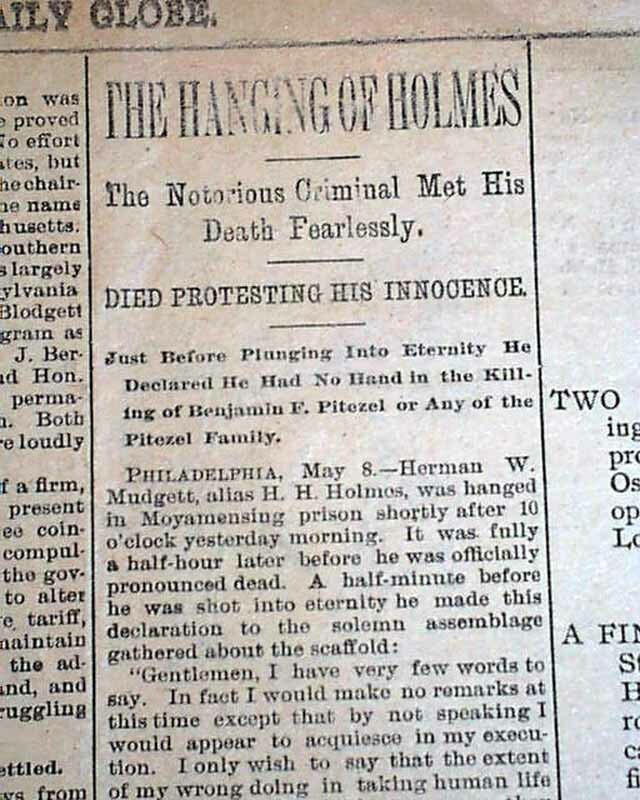 Selzer also included helpful appendices with more information about Holmes’ victims, supposed victims, and further reading. If you are interested in American history and seeing various aspects, then I highly recommend this book for your reading pleasure. It’s out now in a number of formats. H.H. 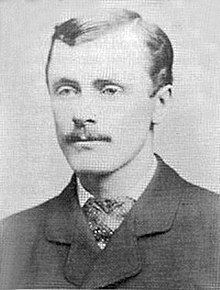 Holmes (real name Herman W. Mudgett) had a lazy eye, which led many to distrust him immediately due to the superstition it was a sign of a criminal mind. 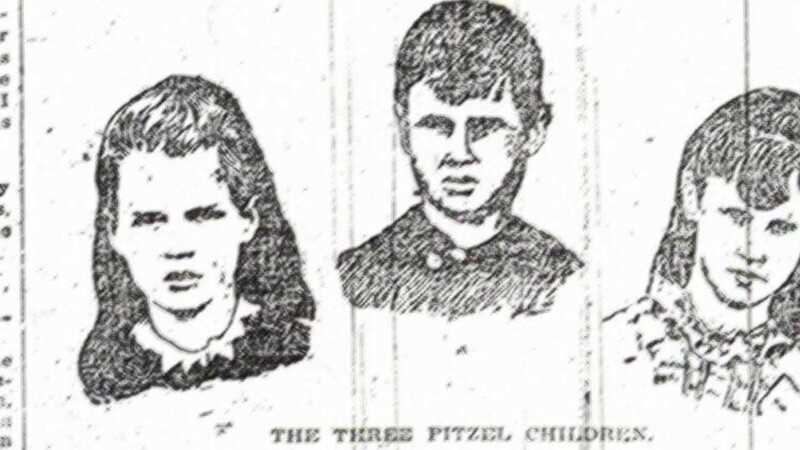 Among the confirmed victims were three of Ben Pitzel (Holmes’ business partner), Alice, Howard, and Nellie.